The UK’s biggest rail fare rise in half a decade has come into force, with fares set to rise a third faster than wages in 2018. The rail fare rise is the biggest in five years. Effective today, average train fares across the UK have gone up by 3.4% representing the biggest increase since 2013. Regulated train fares – which include commuter fares and many season tickets – are up by 3.6% based on July’s Retail Prices Index (RPI) measure of inflation. In response, the TUC highlighted that the 3.6% increase is a third higher than the 2.6% projected wage growth for 2018, and added that British commuters are now spending up to five times as much of their salary on season tickets as passengers on the continent. The Campaign for Better Transport accused the Government of having ‘snubbed’ rail passengers by only freezing fuel duty in the Autumn Budget. Chief executive Stephen Joseph said: “Today season ticket holders will have had to fork out almost as much as drivers will save this year. That doesn’t seem fair to us or the millions of people who commute by train, especially as wages continue to stagnate. 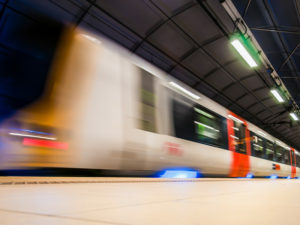 What’s good enough for motorists should be good enough for rail passengers.”For more of the latest industry news, click here.